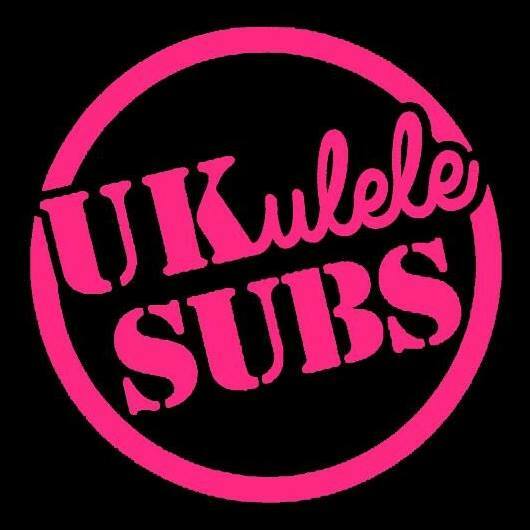 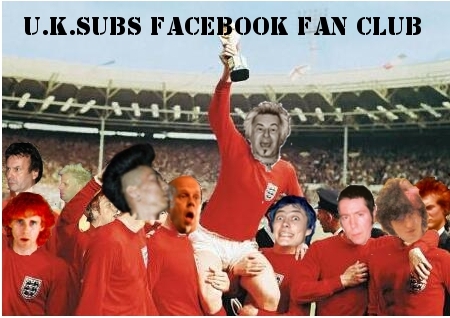 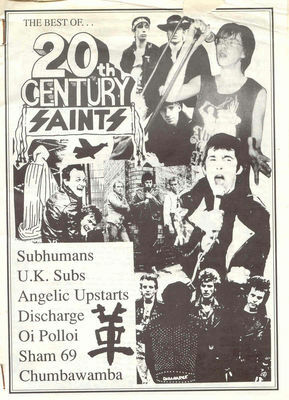 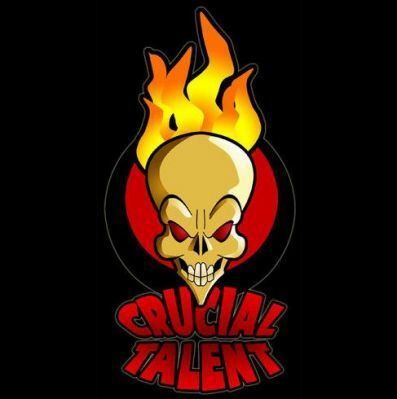 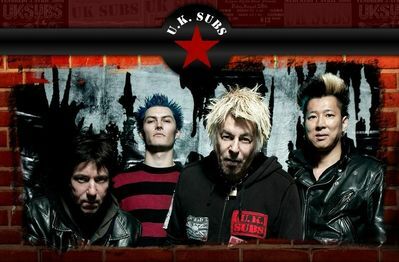 The UK Subs interview featured here is from the 'BEST OF 20TH CENTURY SAINTS' fanzine, which has interviews and reviews taken from 20th Century Saints fanzine issues 1 to 5. 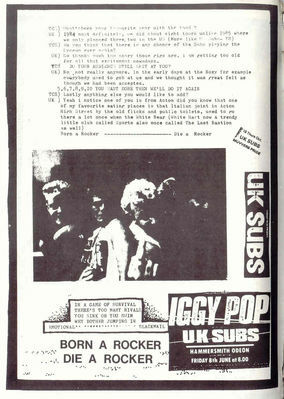 There are also a couple of adverts for the LIVE IN PARIS LP on Released Emotions as well as the MOTIVATOR EP, released on the same label. 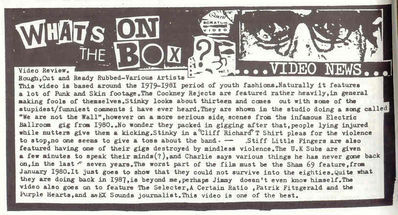 Page 4 also carries a video review of a VHS release which features a Charlie Harper interview... see below. 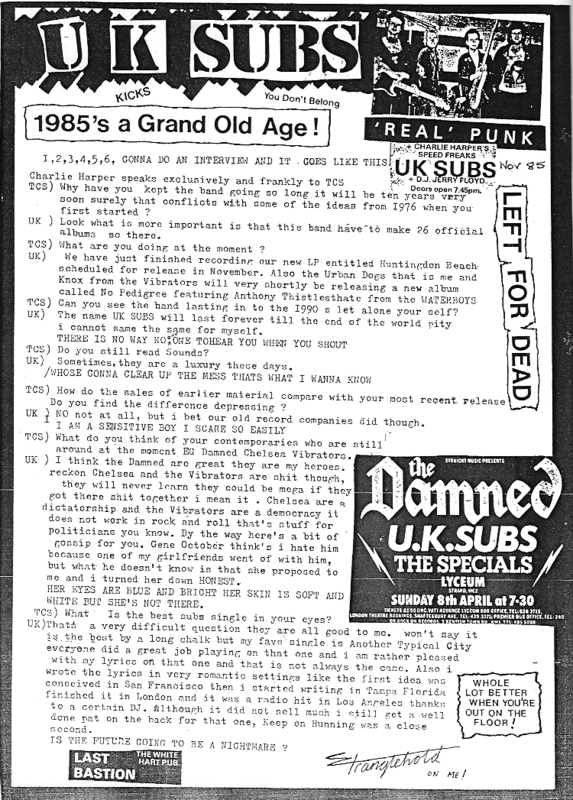 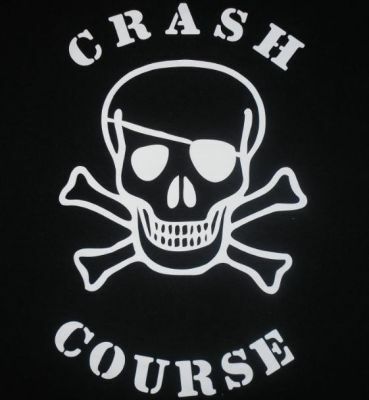 The fanzine appears to have been produced by 'Paul & Vince'. 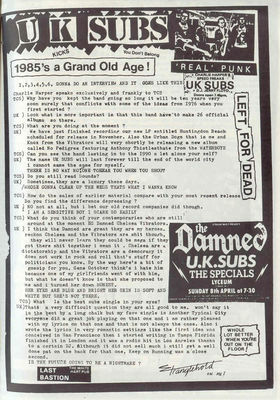 This 'Best Of' featured a Charlie Harper interview from October 1985. 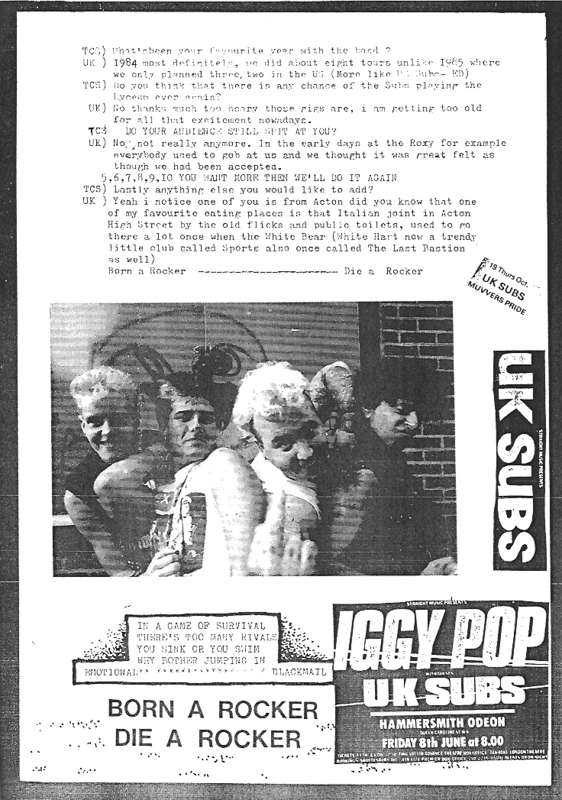 Above: Page 4, Video review of ROUGH CUT AND READY RUBBED video, which features a Charlie Harper interview.